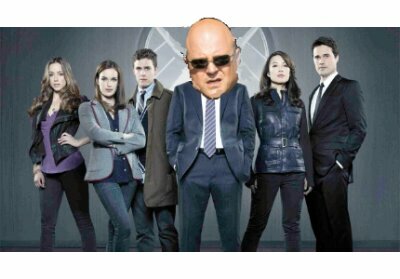 If TV shows were perfect – #1 Marvel’s Agents of The Shield – Screenkicker! 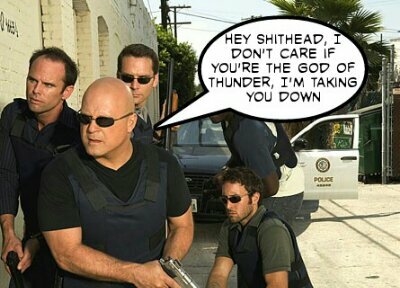 Plot: Ex LA police officer Vic Mackey (Michael Chiklis) becomes employed by the highly secretive government agency S.H.I.E.L.D where he proceeds to break all of the rules. This includes beating a false confession from the Hulk, planting drugs on Loki, and getting involved in the illegal adamantium trade. Will his corruption come to light or will Nick Fury decide that Mackey’s ends justify his means. Tune in to find out. Have any TV recommendations? Is Agents of S.H.I.E.L.D actually good? Have you any tips on using a Photoshop style tool on a tablet? Let me know below shitheads! Previous The Guest List: Screenkicker! #2 The BILLing is a police procedural drama featuring DCI Sarah Lund as the new officer in Sun hill police station. Sarah’s first case is to arrest some hoodies for shoplifting from a chicken fried cottage restaurant. That sounds atrocious, I really want to watch it! Chiklis is The Thing (or at least WAS) so a face off with the Hulk is nigh on essential! Watched the first episode of Agents of S.H.I.E.L.D. It’s… Meh.